Tokyo based insurance holding company, Mitsui Sumitomo Insurance, is all set to buy the 26% state in Max New York Life Insurance from New York Life Insurance Company. With this the ten year old joint venture between Max New York Life and Max India Limited would come to an end. This joint venture came during the time when companies were spearing their wings in order to be a part of the globalization movement. Along with India, New York Life had also invested in other Asian markets. The joint venture had kicked off well and it has been profitable since its inception. They offer long term savings and protection plans for individuals as well as groups through agency distribution. 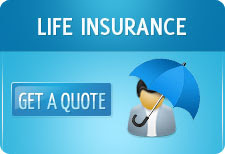 They evolved to become one the four large private life insurance companies in India. However its profits mark only a minor addition to New York Life’s overall earnings. Therefore New York Life has decided to expand on Mexico operations as it currently holds out to be the strongest international market for the insurance giant. The sale would also result in some capital collection but the real strategy is to shift focus on the more lucrative market of Mexico.